This film is an adaption of Daniel Defoe's classic tale of a sailor stranded on a deserted island. 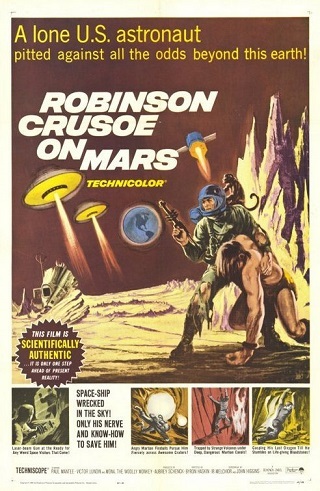 In this version, Crusoe is an astronaut who crash-lands on the seemingly-abandoned planet of Mars. Soon, he meets Friday, who is an alien slave who recently escaped from his captors.